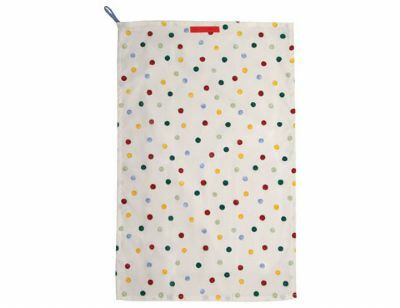 100% cotton Tea towel in Emma Bridgewater's Polka Dot design fabric with loop for hanging. 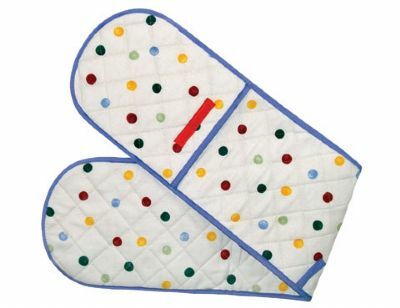 Gorgeous Oven Gloves in Emma Bridgewater's Polka Dot design fabric with blue trim. 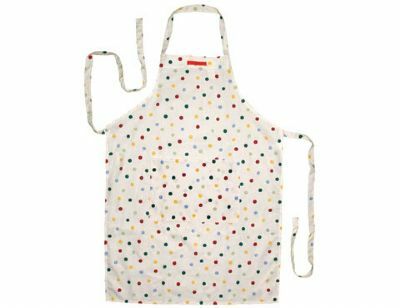 Adults Apron in Emma Bridgewater's Polka Dot design 100% cotton fabric. Emma Brdigewater 100% cotton Tea towel with loop for hanging. 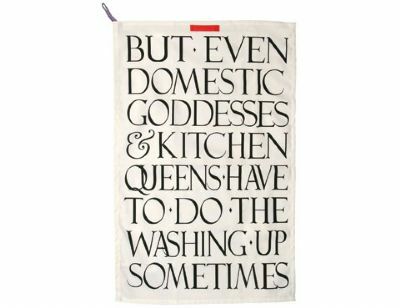 Reads "But even domestic goddesses and kitchen queens have to do the washing up sometimes". 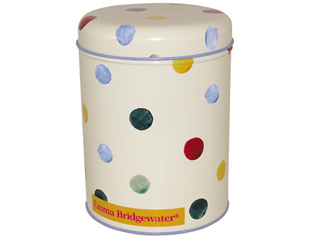 Tall round tin caddy in Emma Bridgewater's Polka Dot design. 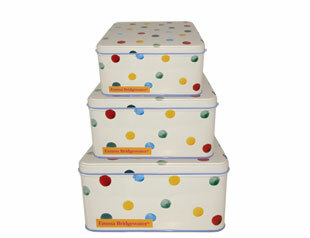 Set of three square cake tins.